Bring a list. The best way to stay on a budget is to make a list of what your child needs. 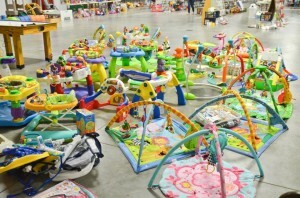 With more than 25,000 items, the sale can be overwhelming. Shop early for the best bargains. If you can get your hands on a presale pass for Wednesday, May 15, you will get to look through the inventory before the general public. How do you get a pre-sale pass? We will give away passes to three lucky readers of this blog. 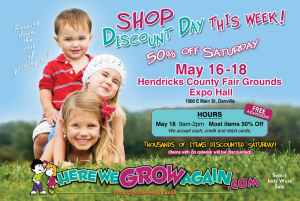 Pre-sale passes also will be given to teachers, military families, volunteers and consignors. Shop Half Priced Day – From 9 a.m.-2 p.m., May 18, most items will be sold at 50% off. Just look for the asterisk on the tag. 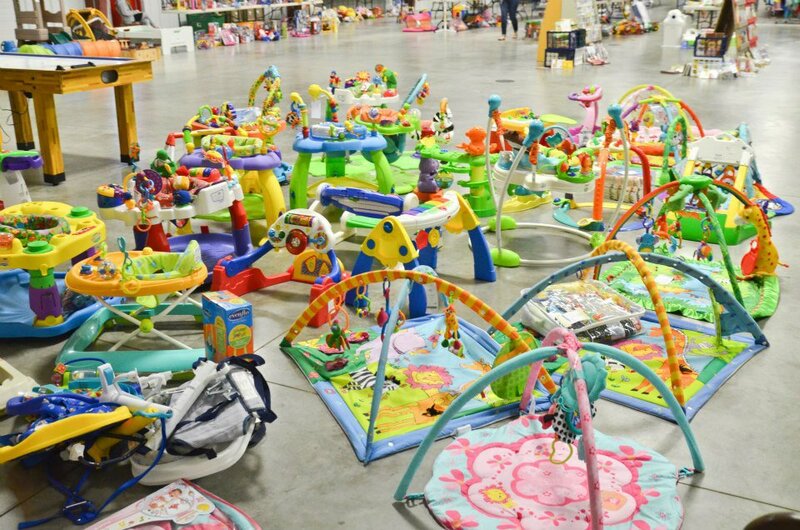 Want to Consign? 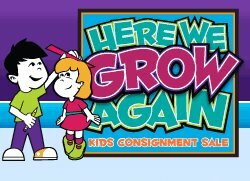 There’s still time to become a consignor. You can get supplies and ask any questions you have at their tagging party from 6:30-7:30 p.m., April 25 at the Panera Bread in Avon. I went to a tagging party a couple of weeks ago and got my supplies. Katie and Kori were very helpful in preparing me to become a consignor. 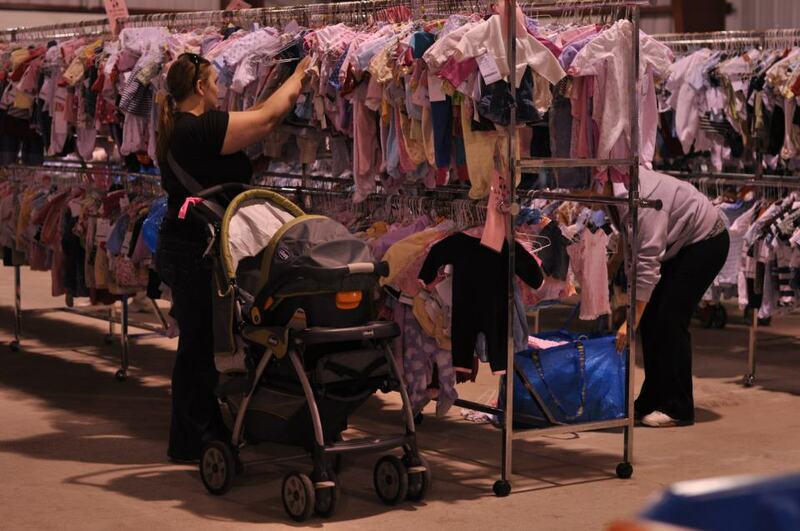 You can find more details on consigning on their website. Volunteers Needed If you would like to volunteer, you can receive $10 in “Grow Bucks” for each three-hour shift you work. You also get to attend the pre-sale. Giveaway! We have three passes that we will award to three readers who comment in the section below. To enter the drawing, tell us what you hope to find at the sale or if you have found a great bargain at a previous sale. You have until 10 a.m., May 6 to enter, and the winners will be notified by e-mail.